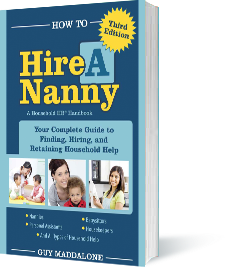 How to Hire a Nanny is a must read for anyone who has hired or plans to hire household help. Hundreds of thousands of families throughout the U.S. hire nannies, housekeepers or elder care to work out of their homes. Many are not compliant with household employment laws, commonly referred to as “nanny taxes,” and often times find themselves facing fines, penalties, and even lawsuits. Guy Maddalone, widely-recognized as the nation’s foremost household employment expert, relies on his 30 years of experience in the payroll and employment services industries to bring solutions to the pressing issues facing household employers. The newly-released, latest edition of his book, How to Hire a Nanny: Your Complete Guide to Finding, Hiring, and Retaining Household Help, lays out the roadmap and gives practical advice for legally hiring household help, determining wages, managing payroll and taxes, and much more. This valuable guide is available for purchase on Amazon.com. In 1991, Guy Maddalone founded GTM Payroll Services, which helps thousands of families reduce the risks and hassles of being a household employer through easy-to-use payroll, tax, and insurance solutions. He has been operating businesses that attend to household employment for 30 years and is considered the nation’s foremost household employment expert. Guy has been quoted by news outlets such as CNNMoney, NBC News and The Wall Street Journal on the topic of household employment. He has employed household workers for the past 19 years. Guy and his wife, Diane, reside in Clifton Park, New York with their three children. Get the help you need - sign up for a nanny tax and payroll service plan. Download our free guide and find out everything you need to know about paying your employee legally and filing your taxes.